We have compiled a basic list of F.A.Q. on Himalayan Salt Mines. Enjoy! 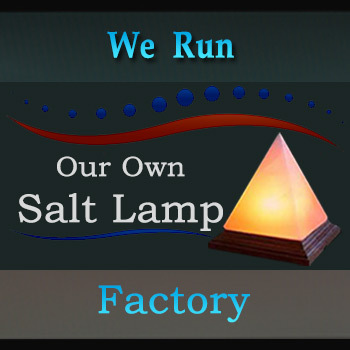 Every one of us may have something different to know about Himalayan Salt Mines so in case you got something else to ask please go ahead and send us an email we will try our best to put that question and the relative answer here in our F.A.Q. section. First of all, the Himalayan salt is one of the most pristine, natural and highly beneficial mineral salt that exists on the face of this earth. It is the result of the 250 million years of evolution. The seas dried up and left behind this crystal salt which is a gift to us from Mother Nature. Due to the absolute natural composition, the Himalayan salt possesses all the elements which are present in our body. It means its composition matches with the natural mineral composition in our bodies, making it highly beneficial for us. 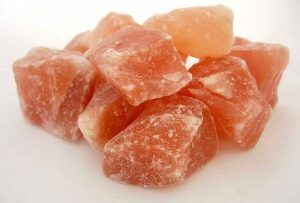 Where are the Himalayan Salt Mines in Pakistan? Or, are there any salt mines in the Himalayas? As a matter of fact, the Himalayan mountain range has many of the world’s highest mountains. Also, the Himalayas include over 50 mountains, and the Mount Everest is among them. They sprawl east to west from Afghanistan through Pakistan to India into Nepal. Moreover, these highest peaks of the earth exceed 7,200 meters (23,600 ft) in elevation. The part of the Himalayas in Pakistan begins in the foothills of the Himalayan Mountains in Northeast Pakistan. Furthermore, this part of the Himalayas stretches across 186 miles from the Jhelum River to the Indus River. The Salt Range varies in width from 5 to 19 miles and includes several peaks nearly 5,000 feet high. Particularly, there are four primary and major mines scattered across the Salt Range in Pakistan. Each of these salt mines produces unique, varied, and distinct salts. Why And How Did Salt Get In The Himalayan Salt Mines in Pakistan? The known history of Himalayan salt mines begins more than 550 million years ago in the Jurassic era. Those were the days when an ancient inland ocean slowly evaporated, leaving behind expansive mineral salt deposits. As this activity shifted the earth, the seabed was hermetically sealed, and buried under intense pressure. As the continents continued to shift, the rock surrounding the seabed was forced upward, forming the mountain ranges where the mines are now located. Earlier, around 326BC Alexander the Great and his soldiers stopped to rest in the Khewra region (Northern Pakistan). Few soldiers noted their tired and hungry horses had gathered around and were licking the salty rocks. That’s the way we discovered the salt deposits in the Himalayas. During the next couple of centuries, the salt was mined in smaller quantities by local communities. 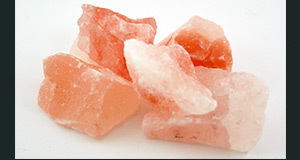 Later this pink, mineral-rich salt was introduced. Later in 1827, a British engineer established a sustainable excavation model called “Room and Pillar” (or “Dome and Pillar”). Finally, this method gave rise to modern mining and increased harvesting. Thus the Himalayan Pink salt is a hand-mined salt that is derived from ancient sea salt deposits, and it is believed to be the purest form of salt available. How do they mine Himalayan salt? Or, What is Room and Pillar mining? What is Dome and Pillar mining method? As I said earlier, we are using a sustainable excavation model called “Room and Pillar” (or “Dome and Pillar”). This method is the modern mining and it increases the harvesting. Room and pillar, also called dome and pillar is a mining method in which we mine or extract the rock salt across a horizontal plane. That actually creates the horizontal arrays of rooms and pillars. We extract the rock salt in two phases. In the beginning, the “pillars” of untouched material are left to support the roof. Then, we go underground to extract the open areas or “rooms”. The selection of the optimum pillar size plays the key role in a successful room and pillar mining. Generally, we keep an equal size of both room and pillars. If the pillars are too small the mine will collapse. Actually, there are different methods of salt production. Evaporation of ‘solution-mined’ produces White salt. Mining the ancient deposits makes a salt mine and gives us the rock salt. Whereas some countries are using the solar energy to evaporate brine produced from seawater. Read more on what is a salt mine? 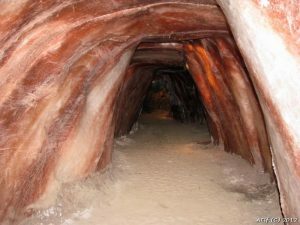 First, we mine the salt found on the ground to get to the ….. Read more on How is a salt mine created? This salt mining process is labor-intensive. It begins with cutting a horizontal slot beneath a salt wall. The blasted salt rocks eventually fall beneath the salt wall. Now, we drill the holes into the salty side. Read more on How is salt extracted from a mine? 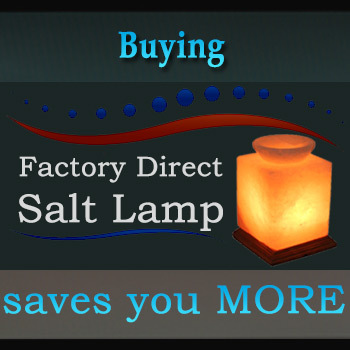 We have been in the business of selling Himalayan salt lamps and other dozens of salt products for over a decade now.